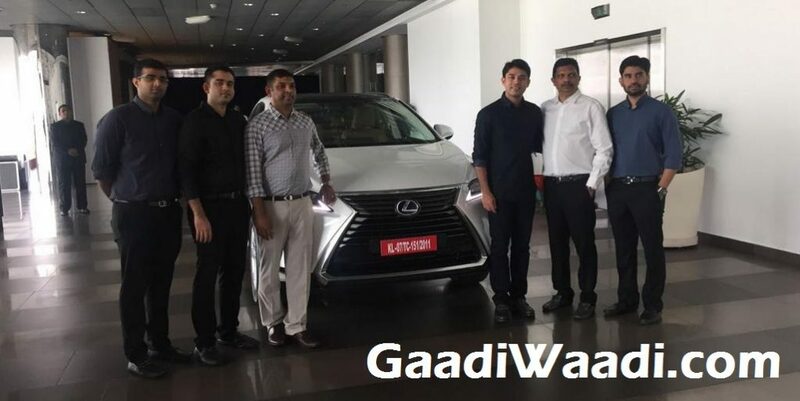 The first unit of Lexus India’s RX450h seems to have been delivered from a Toyota showroom in Cochin, Kerala. 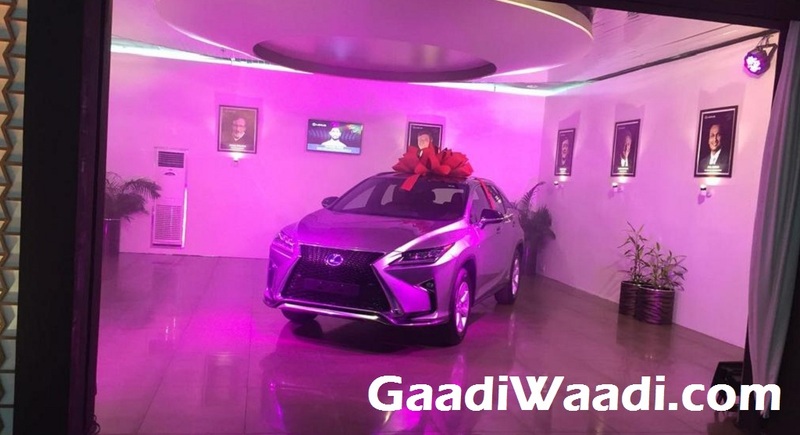 According to our sources, Nippon Toyota dealership in Kalamassery played host to the official delivery as the luxury Japanese brand’s entry into the Indian market is expected early next year. With bookings taken from November, three models expected to be up for launch are the RX450h SUV, ES300h sedan and the flagship LX full-sized SUV based on Land Cruiser – taking their respective positions in the ever competitive luxury space. Toyota appears to be preparing its manufacturing unit in Karnataka for assembly of the Lexus models but initially they will be sold via CBU route. Being a fully imported SUV, the RX 450h might not come under the government-framed FAME scheme with tax exemptions. The on-road prices are believed to be in the region around Rs. 80 lakh. The hybrid SUV is likely to be powered by a 3-5-litre V6 petrol engine that is connected with an electric motor. The combined power output is at 308 horsepower and 361 Nm of peak torque as both axles are driven by an eight-speed Electronically controlled Continuously Variable Transmission (E-CVT). It is claimed to do 0-100 kmph in around 7.9 seconds and will go up against the likes of Mercedes GLE, Audi Q7 and Porsche Cayenne – all of them doesn’t offer hybrid variant in India yet. But Volvo has recently launched the T8 plug-in hybrid version of the XC90 making the competition really interesting. With increased proportions compared to its predecessor, the five seater luxury SUV measures 4,890 mm in length, 1,895 mm in width and 1,690 mm in height and has a wheelbase of 2,790 mm and ample 195 mm ground clearance. The exterior features include the new spindle grille, standard 18-inch wheels or optional 20-inchers, automatic headlamps and a busy lower portion. The interior is likely to come equipped with eight-inch touchscreen infotainment with an integrated rear camera display, 10-way power-adjustable front seats, T-shaped dashboard comprising aluminum and wood inserts, heated wood-and-leather trimmed steering wheel, dual-zone automatic climate control, an electronic park brake and so on.